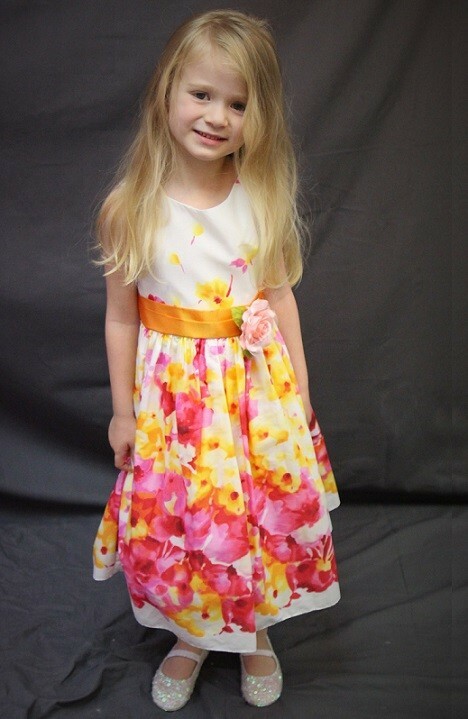 Beautiful flower printed dress, accented with a colour sash & flower. 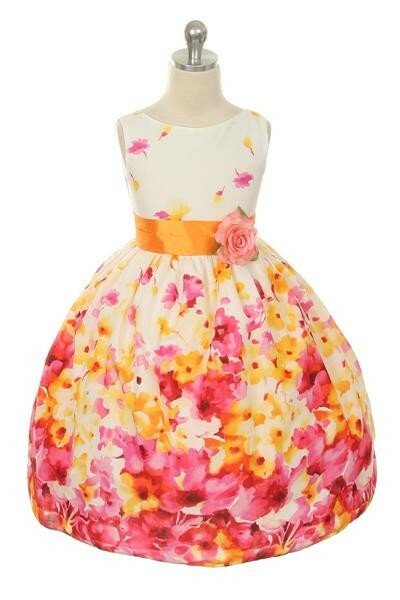 Beautiful flower printed dress, accented with a color sash. We recommend adding at least 1" - 2" (3-5cm) to your body measurements for comfort.